Avigdor Lieberman believes Israel must end the cycle of Palestinian incitement and violence, not manage it. Peaceniks may be up in arms about the appointment of Avigdor Lieberman as Israel's next minister of defense, but the country's enemies are worried — and rightly so. 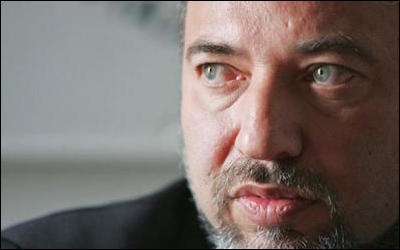 Yes, as the inevitable flurry of articles accompanying his appointment are sure to point out, Lieberman once said that Israel could bomb the Aswan dam in the event of war with Egypt and he also said that captured Palestinian terrorists should be "drowned in the Dead Sea." But Lieberman, arguably the biggest loudmouth in Israel (he recently called Prime Minister Benjamin Netanyahu — the man he's been angling to work for — "a liar, cheater and crook"), is also a reasonable politician. Lieberman's core beliefs are squarely rooted in principles that most Israelis accept and that make good sense. He has expressed support for the establishment of a Palestinian state alongside Israel as part of a final settlement, but he also maintains, as he put it at the Saban Forum in 2006, that the negotiating process is based on three fundamentally erroneous assumptions: "that the Israeli-Palestinian conflict is the main fact of instability in the Middle East, that the conflict is territorial and not ideological, and that the establishment of a Palestinian state based on the 1967 borders will end the conflict." Lieberman's core beliefs are squarely rooted in common sense principles that most Israelis accept. Although willing to trade land (including the West Bank settlement of Nokdim, where he lives) under certain conditions, Lieberman resents the Obama administration's relentless pressure for upfront Israeli concessions, noting that two decades and more of concessions to the Palestinians "brought neither results nor solutions." He is correct that finding more things for Israel to give up, even as the cycle of Palestinian incitement and violence continues, is not the answer. Having experienced poverty first-hand while growing up in the Soviet Union, Lieberman has spoken eloquently about the need to address the deplorable socioeconomic conditions among Palestinians. This is partly why he has long called for toppling the Hamas regime in Gaza, which Netanyahu, former defense minister Moshe Ya'alon and the rest of Israel's political and military establishment have come to accept as a manageable problem. Lieberman believes the deplorable socioeconomic conditions among Palestinians must be improved to sustain peace. Not everything Lieberman believes is nestled firmly within Israeli public consensus, but even his more extreme ideas are rooted in hard-nosed realism, not ideology or ethnic particularism. His long-standing advocacy of the death penalty for convicted terrorists, for example, is premised on the simple recognition that Palestinian terrorists are today free to murder based on the correct expectation that they will later be released in prisoner exchanges. Lieberman is also cognizant of the fact that the U.S.-Israel relationship is of the utmost importance. When Israeli minister Naftali Bennett attacked U.S. Secretary of State John Kerry's attempt to rekindle the peace process, Lieberman quickly fired back, stating , "There can be disagreements among friends, but one [Israel] doesn't have to attack someone [the U.S]. When the supply of ammunition ran out during Operation Protective Edge, it was the United States that supplied it. The Americans were the ones who gave the money for Iron Dome. The United States was the one that helped us at the United Nations Human Rights Council and they prevent a lot of trouble in the Security Council with vetoes." Of course, Obama administration officials hoped that Netanyahu would stabilize his coalition by drawing in the center-left, not someone like Lieberman. Just days before the announcement, it was widely expected that Netanyahu would form a coalition with Isaac Herzog's Zionist Union, which advocates greater accommodation of Palestinian demands. A stable, right-leaning government is better-suited to pursue peace than a fragile 'unity' government. But the Zionist Union has been paralyzed by internal divisions, with numerous members of this bloc openly opposing Herzog's coalition talks with Netanyahu, while Lieberman's MKs are expected to remain loyal. A stable, right-leaning government may have more credibility with the Israeli public than a fragile "national unity" government when it comes to making compromises for peace. After all, it was the "hard-line" Likud leader Menachem Begin who signed the Camp David Accords with Egypt in 1978. My esteemed colleague David Makovsky worries that Netanyahu is "closing the door" on policies that "could have blunted a string of international initiatives" targeting Israel in the months ahead. This couldn't be farther from the truth. Lieberman accepts the Middle East Quartet's conditions for a two-state solution. Most important, he stated , "When there is a dispute between the integrity of the nation and the integrity of the land, then integrity of the nation is more important. I support a [peace] agreement...when we insist on security arrangements, this is just to avoid the crazy reality we are in." The doom-and-gloomers are right that Lieberman's appointment to the defense ministry will almost certainly be consequential. Word has it that he demanded and received assurances regarding the latitude he will have in office. But Lieberman may just be the man of consequence Israel needs right now.